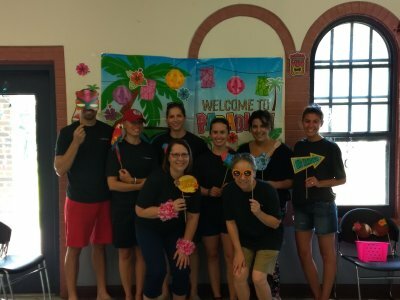 Moss & Barnett employees and friends enjoyed serving a picnic lunch to the clients and families of Breaking Free at their annual barbecue held on July 28, 2018, at Newell Park in St. Paul, Minnesota. There were games and prizes for the kids and face painting, too. A good time was had by all. Breaking Free is a Minnesota-based non-profit and social justice/social change organization founded in 1996. Every year, Breaking Free helps over 500 women escape systems of prostitution and sexual exploitation through advocacy, direct services, housing, and education. Moss & Barnett has a long-standing tradition of partnering with Breaking Free. Every year, the firm’s women attorneys “adopt” Breaking Free families for the holidays, helping to ensure that those families have a joyful holiday. In addition, members of the firm donate various daily items in need such as pots and pans, silverware, and women and children’s clothing throughout the year as needed.